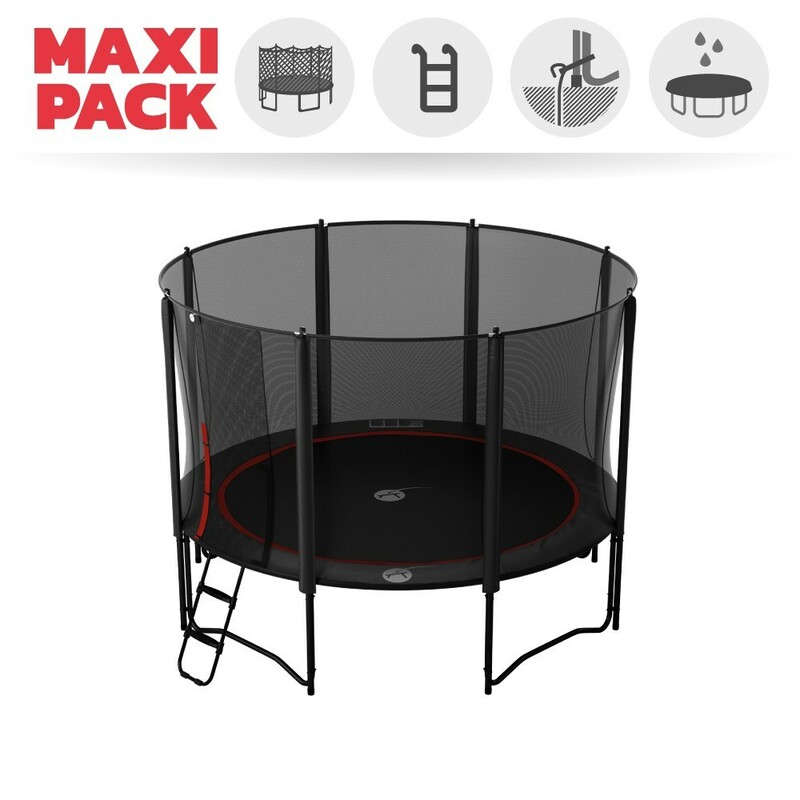 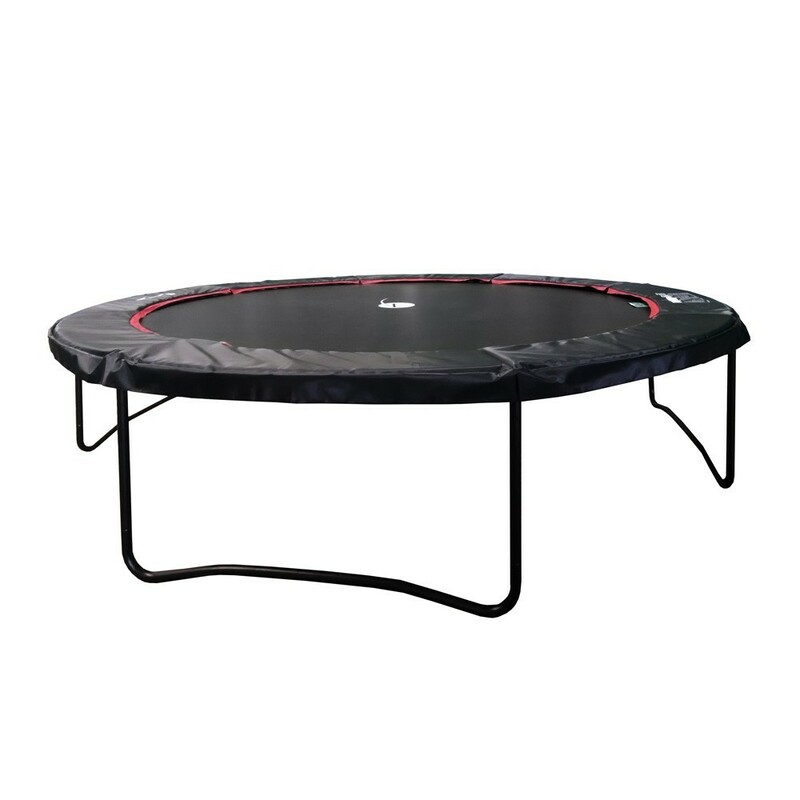 The round Booster 360 trampoline with its sporty appearance is ideal for energetic kids and teens seeking hours and hours of fun and entertainmant! 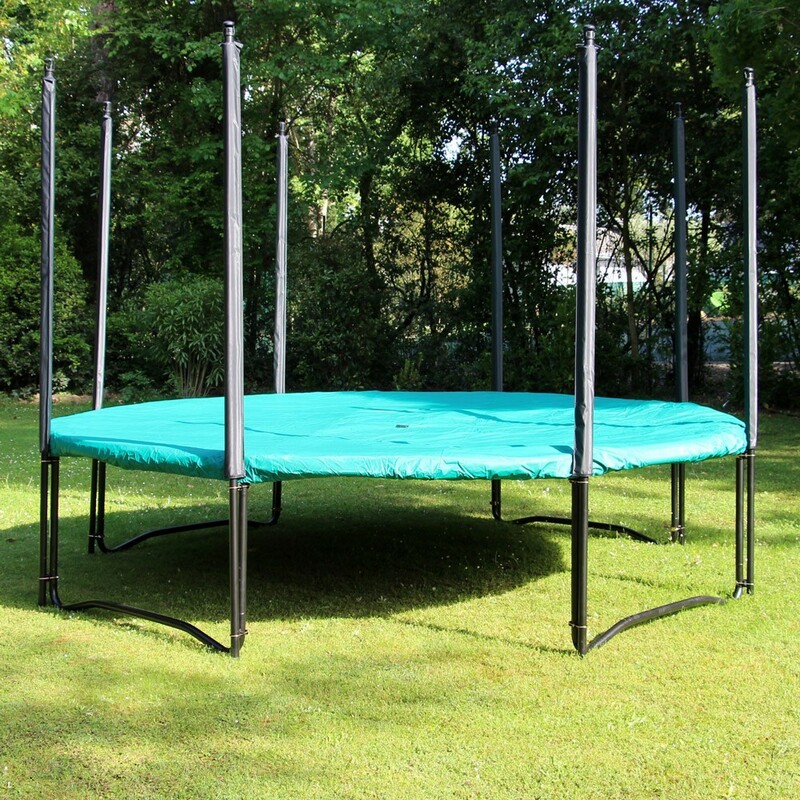 Its large, 210-mm, cone-shaped springs guarantee enhanced jump performances, and its large jumping mat allows jumpers to carry out any and all figures! 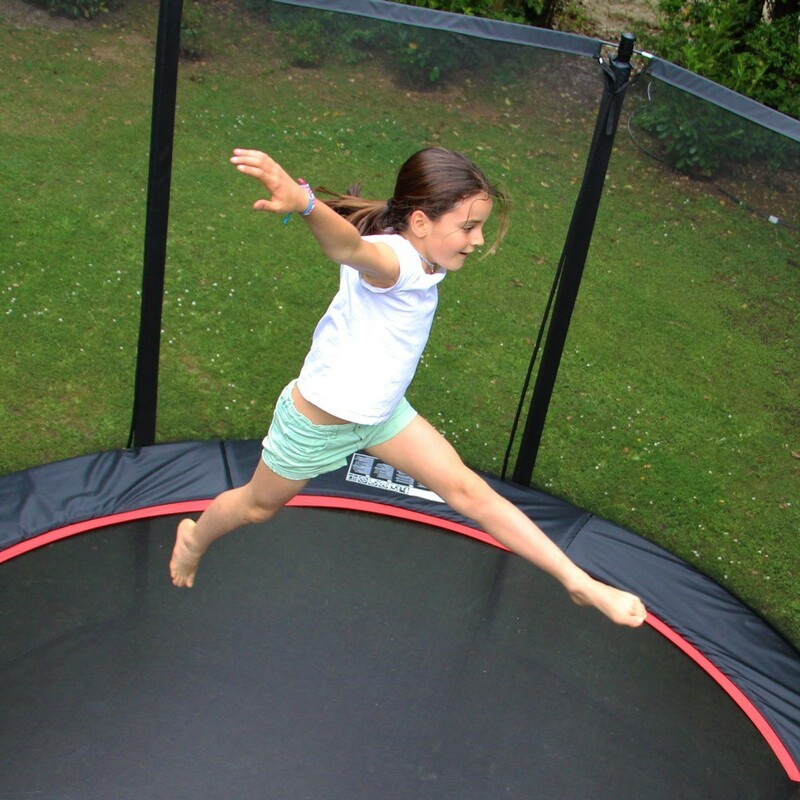 -The trampoline frame is made of thick, laquered, hot-dipped galvanized steel tubes to resist corrosion and guarantee the trampoline's long shelf-life. 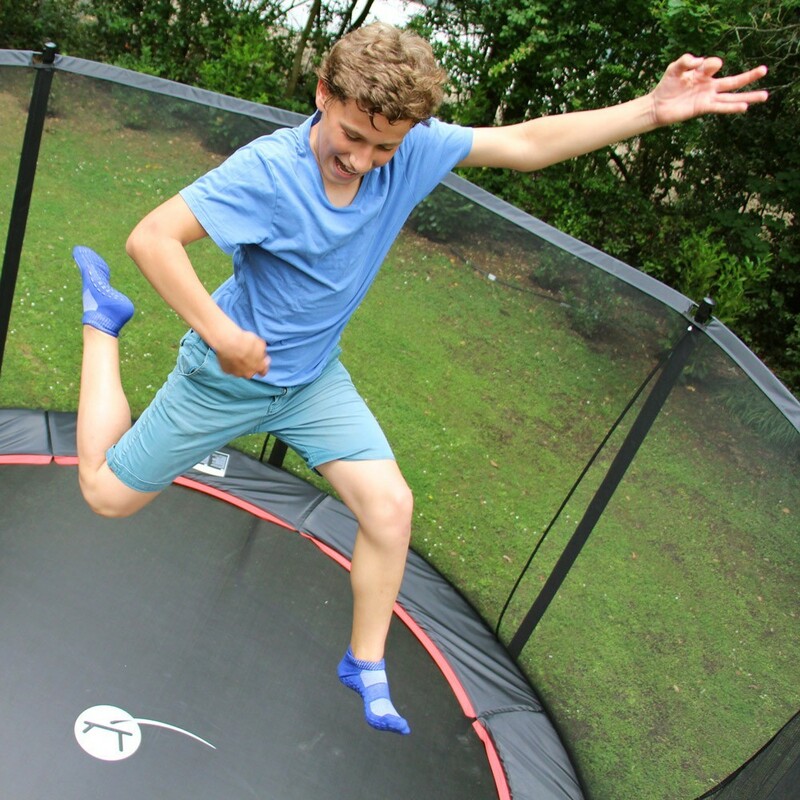 - The trampoline's jumping mat is made of Mesh, a highly-resistant technical fabric that is UV-resistant and offers incomparable jumping performances. 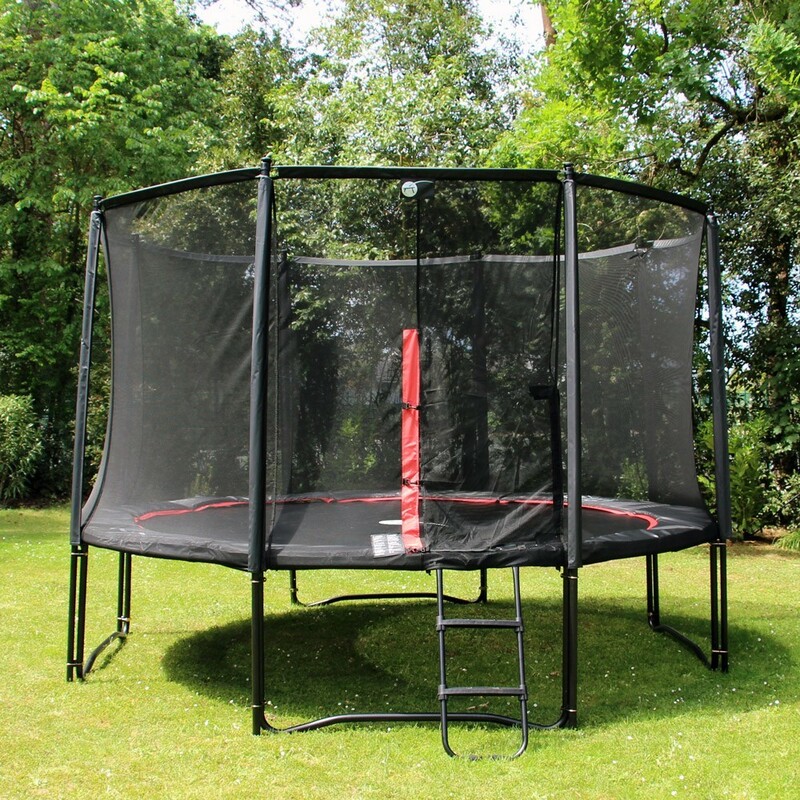 - The Booster 360 Premium safety enclosure is a true safety enclosure. 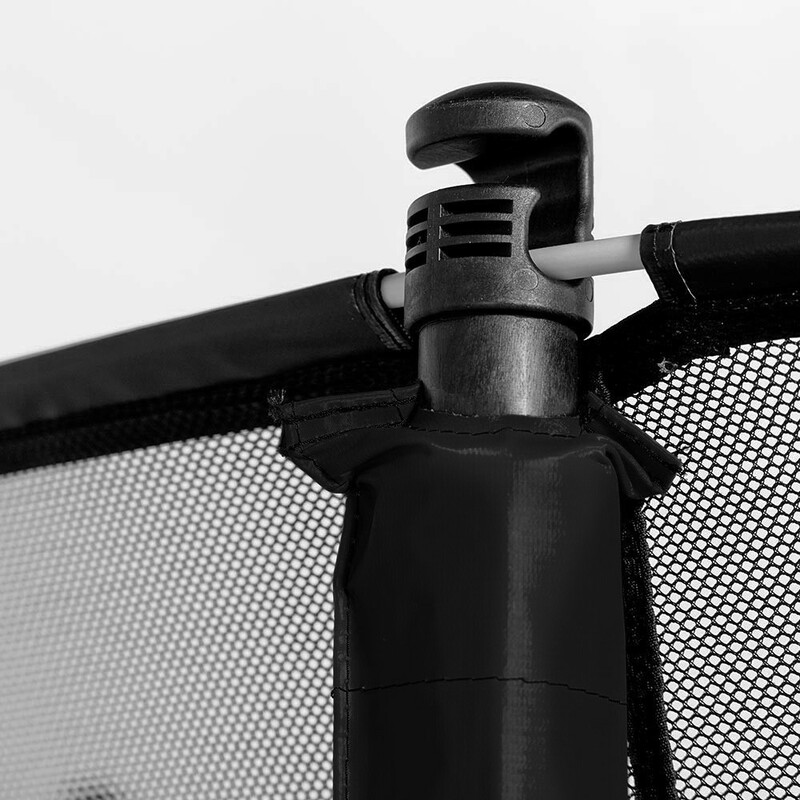 It is supported by 8 net posts running from the top of the net to the ground. 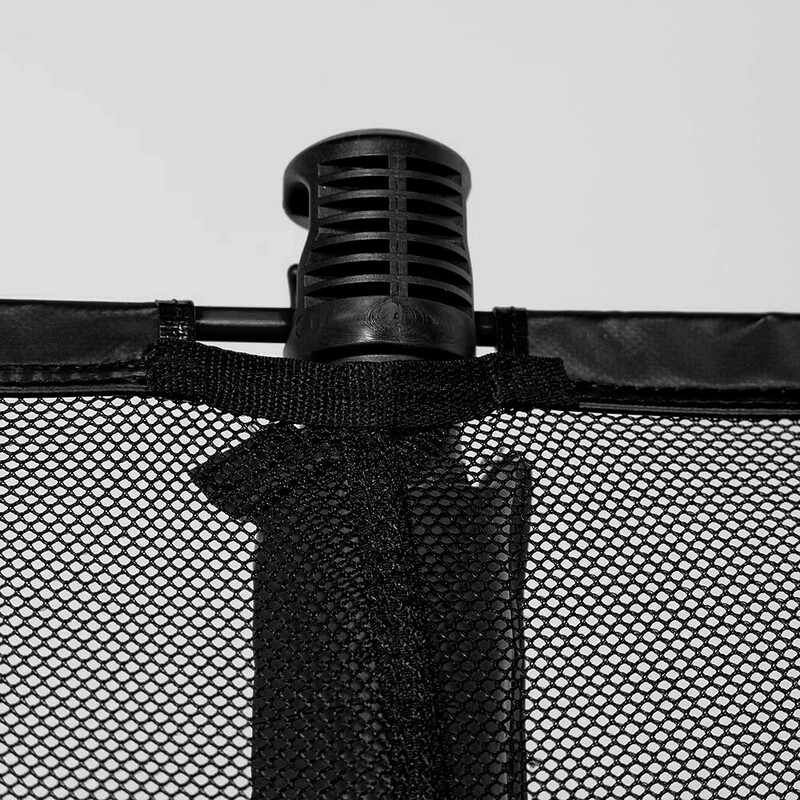 The mesh is tightly woven to prevent young children from getting their fingers caught in the net. 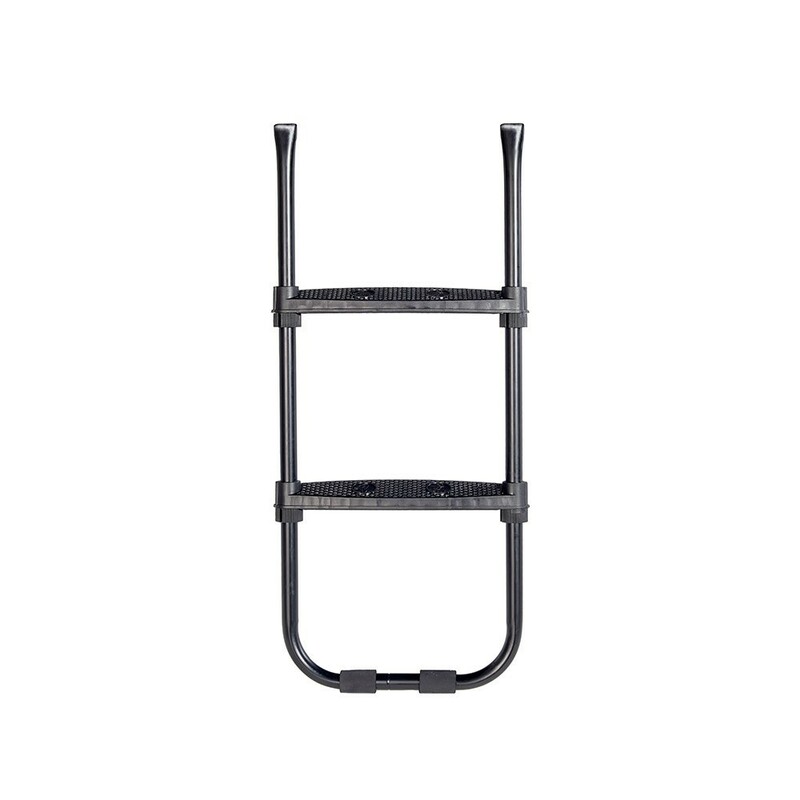 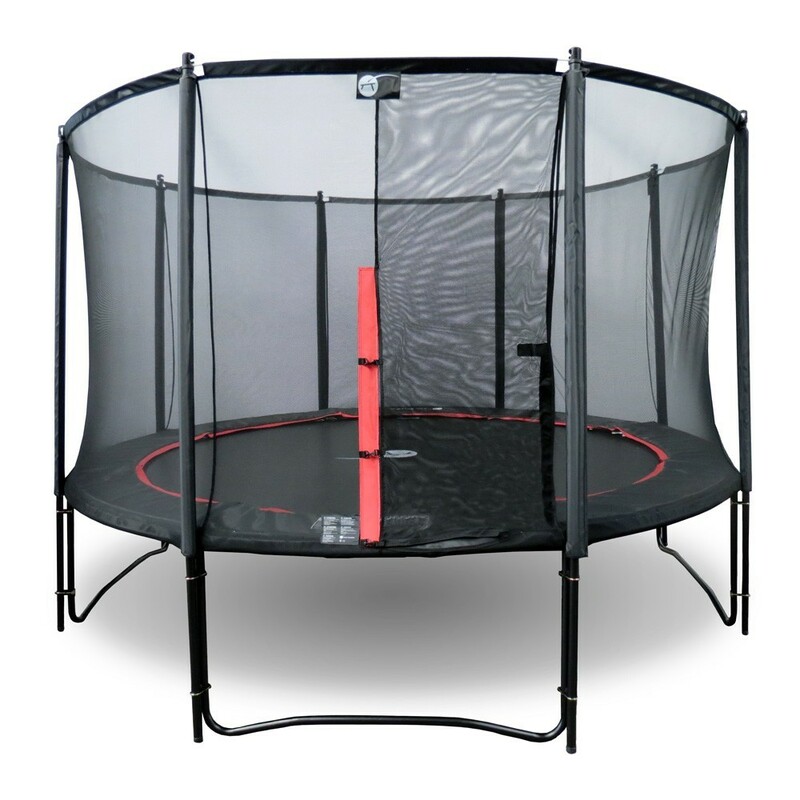 - The frame pad protects the jumpers from landing on the springs. 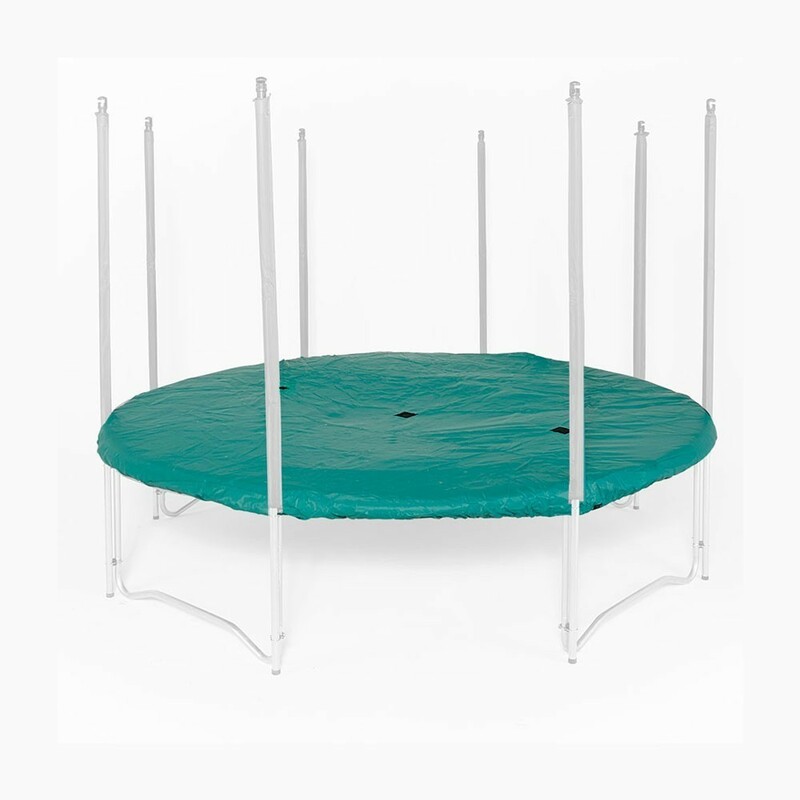 It is made of a single piece of thick foam and covered with a UV-resistant, PVC technical fabric to allow you to leave your trampoline outdoors year-round. 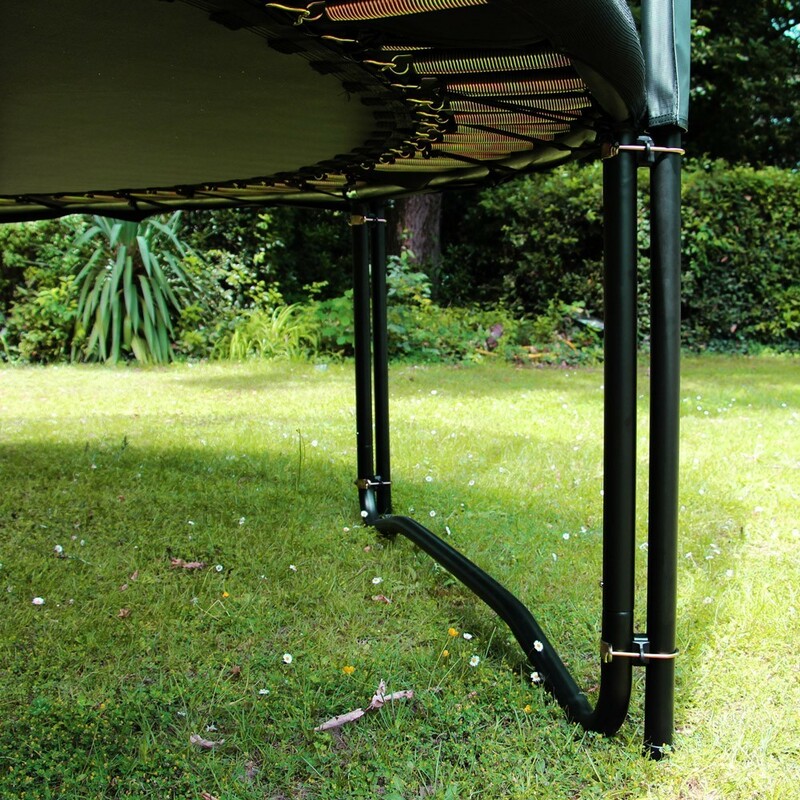 - The step-ladder secures the access to the trampoline, and is easy to install and take down. 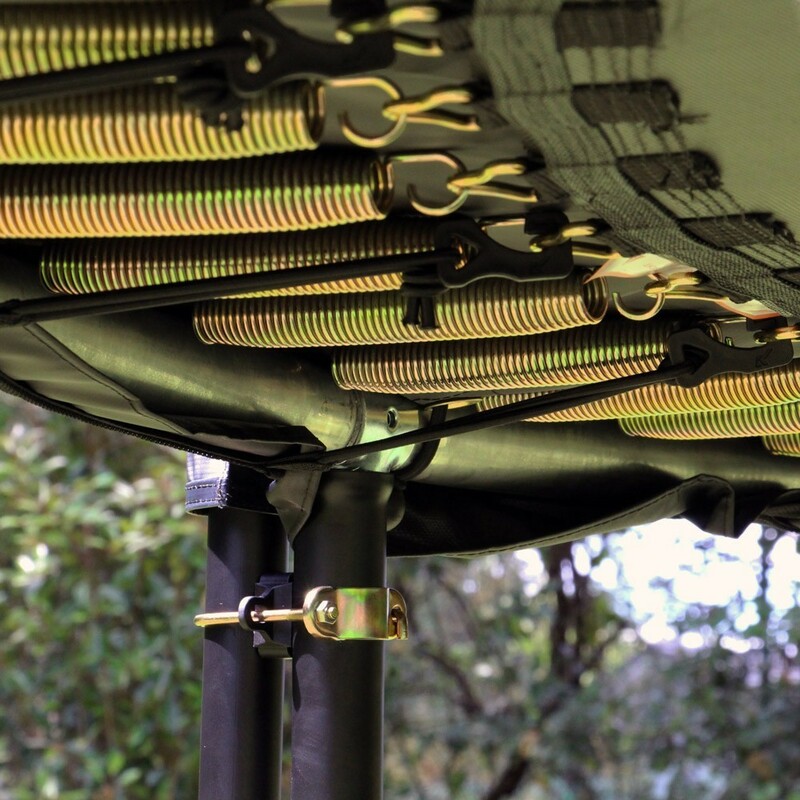 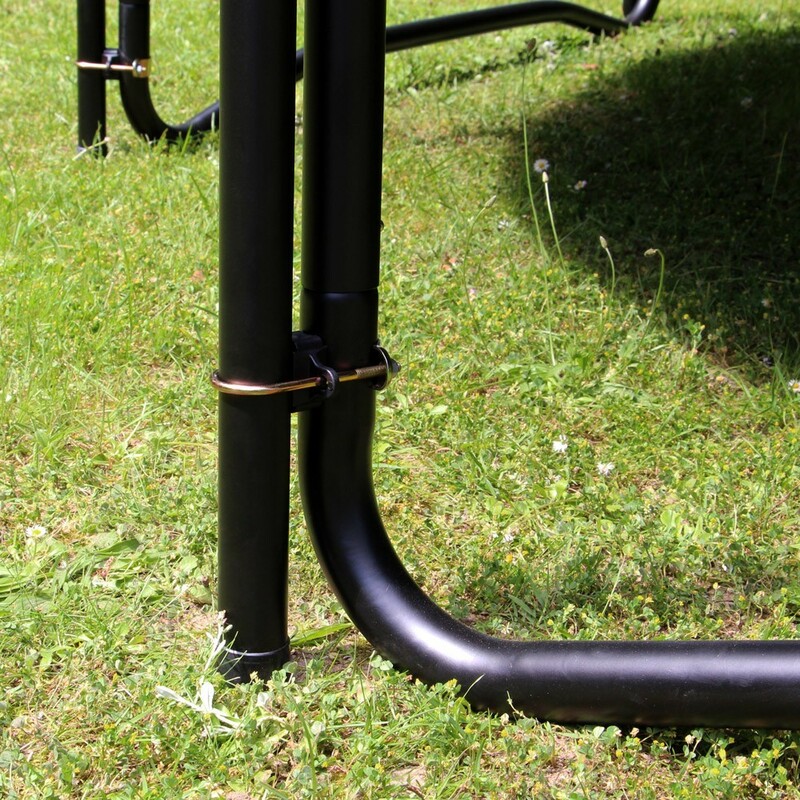 - The anchoring kit lets you anchor your trampoline to the ground to hold up in strong winds. 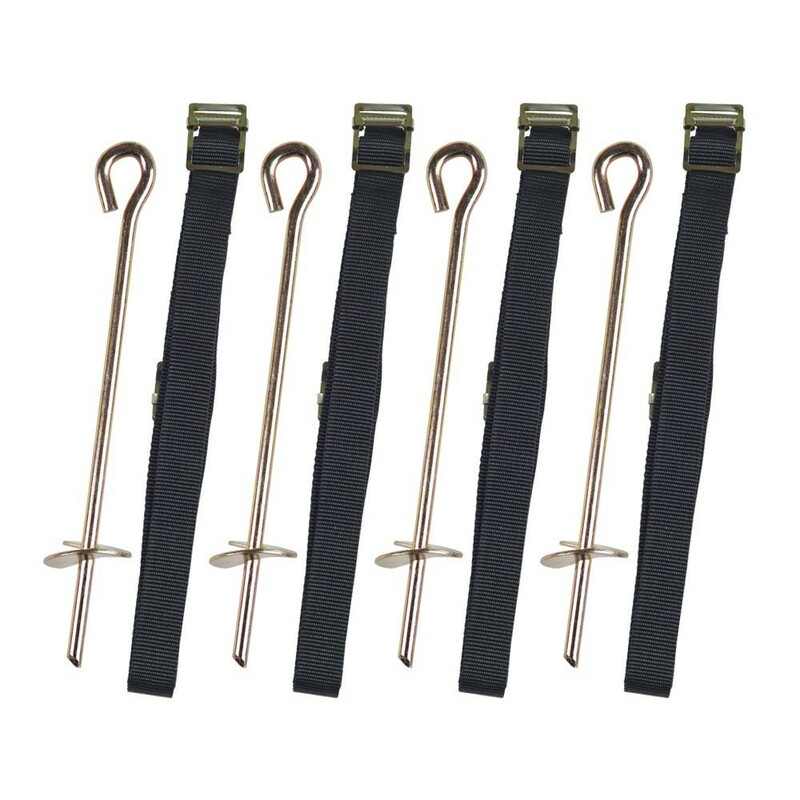 It includes 4 metal rods with wings to plant in the ground, as well as 4 reinforcement textile straps. 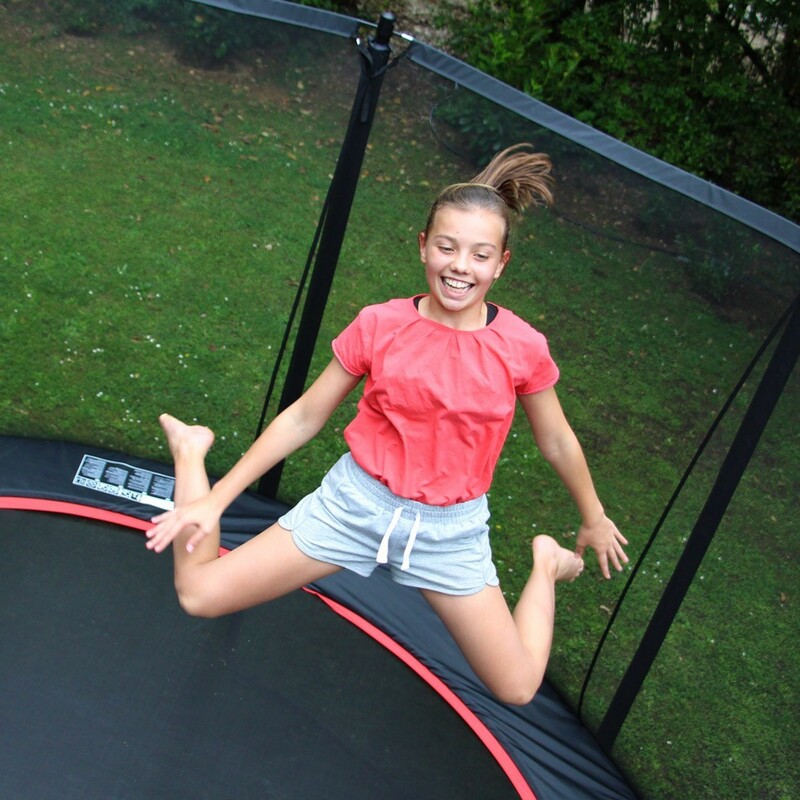 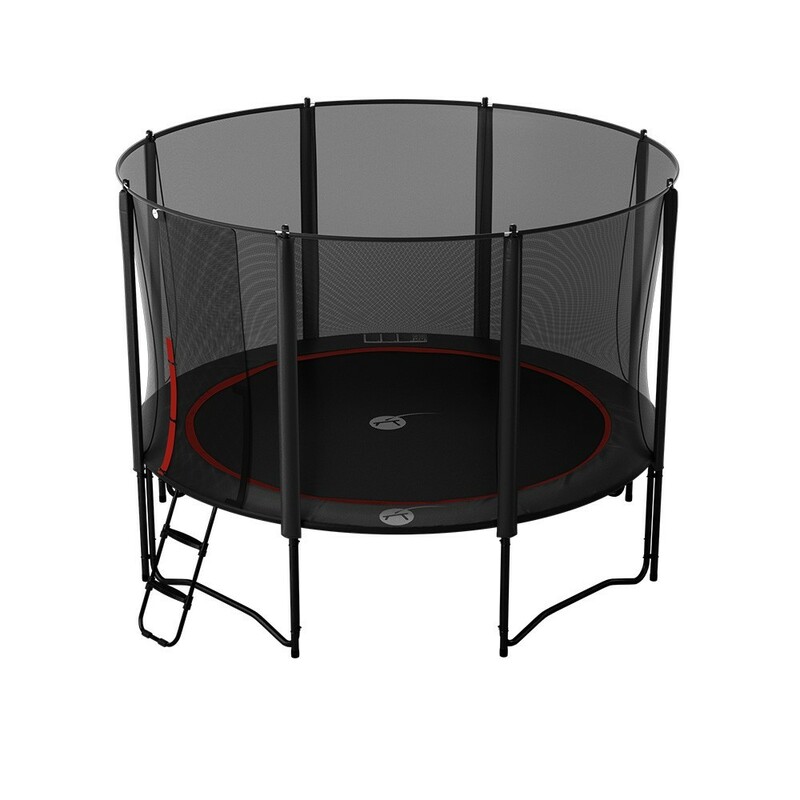 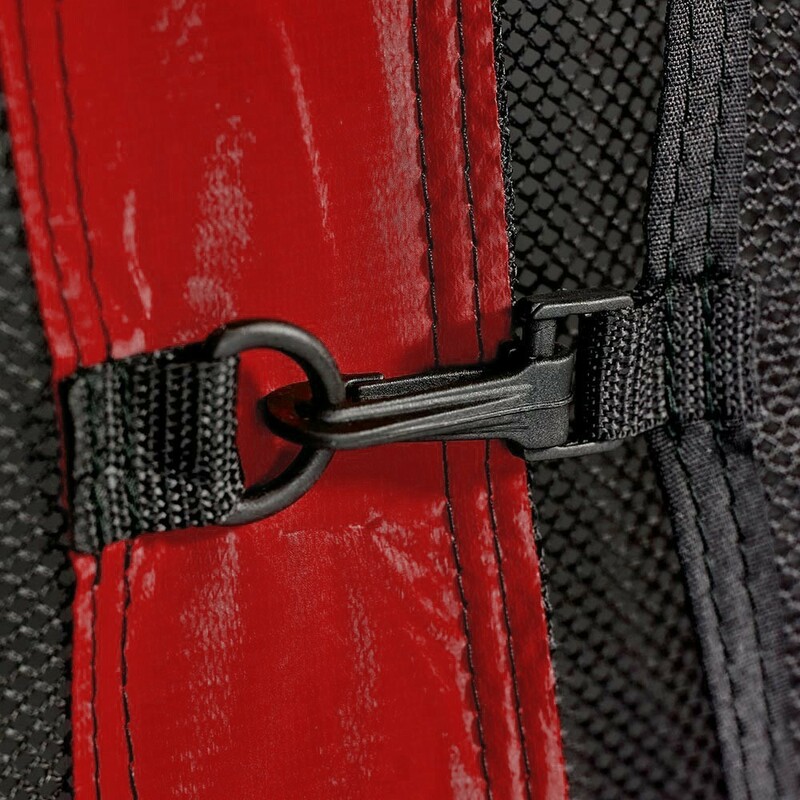 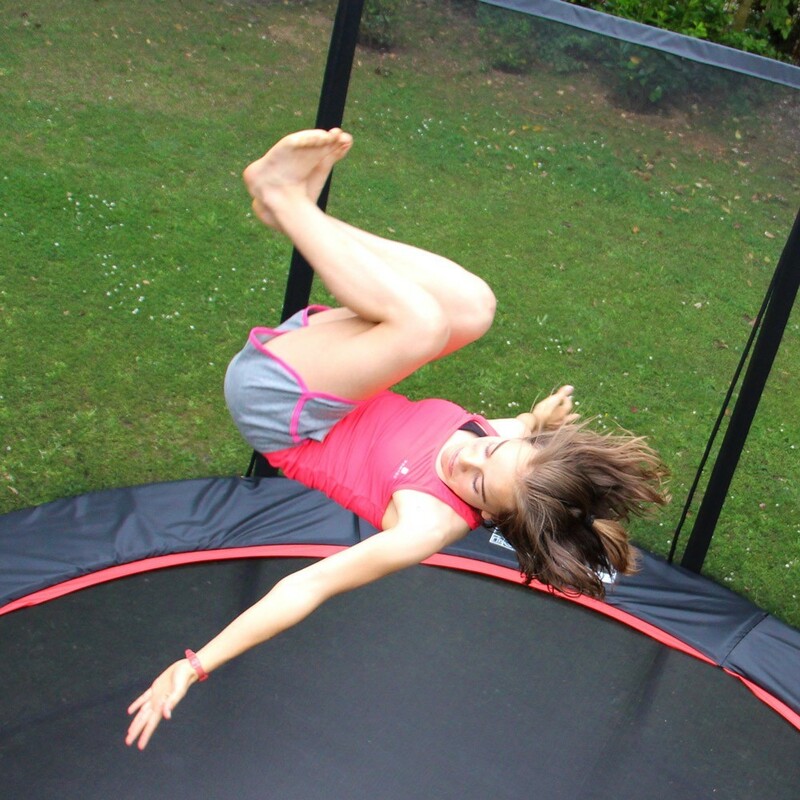 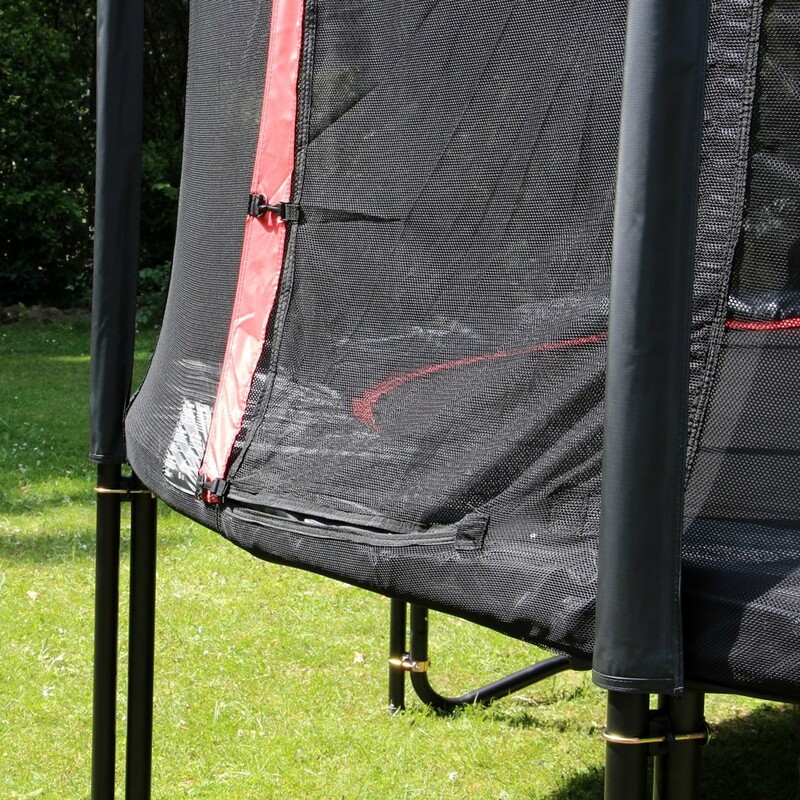 - The trampoline's premium protective cover is perfectly adapted to the Booster 360. 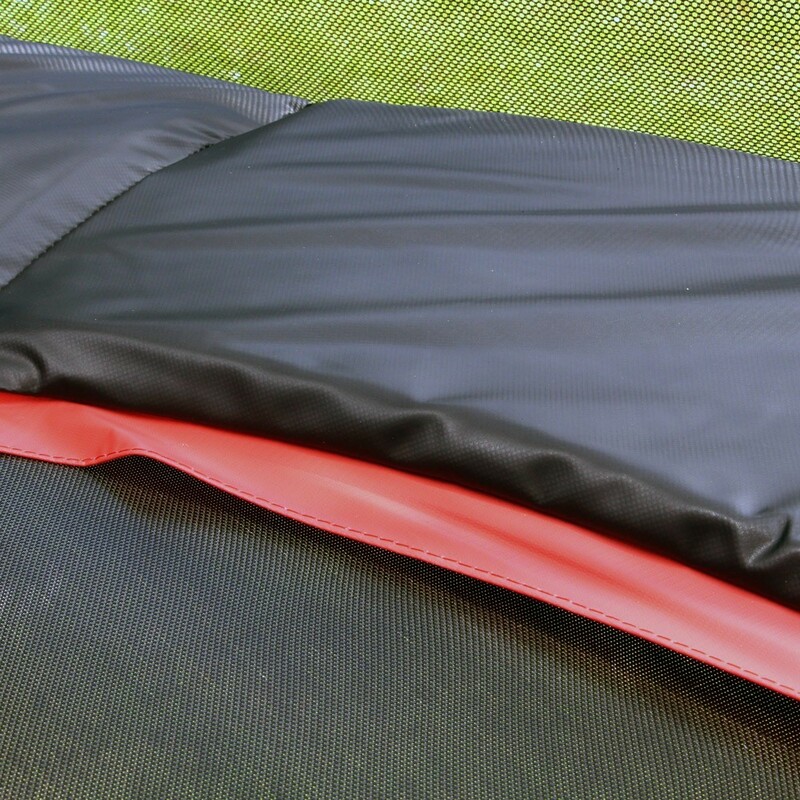 It is made of thick, UV-resistant PVC, for trampoline protection all year long.